With our deep SEO foresight and knowledge of search algorithms, we bring the best out of every SEO campaign to help businesses reap profits in a short span of time and in tight budget. Brainpulse is #1 SEO Company in Gurgaon with 20+ years of excellence in the SEO service domain. In a span of two decades, the company has helped 800+ clients to increase their web visibility, and gain top 10 search rankings on premium search engines Google, Yahoo and Bing. Our SEO services Gurgaon helps brands increase in website visitor traffic, get qualified leads, and drive more sales. At Brainpulse, what we promise is 100% white hat SEO solutions, a team of apt SEO professionals at work and a fool proof SEO process in sync with Google SEO standards. Evidently, the brands that rank in top three of SERPs attract more traffic and business. Therefore, we work hard to help your website appear in top 3 for most completive search terms. With our deep SEO foresight and knowledge of search algorithms, we bring the best out of every SEO campaign to help businesses reap profits in a short span of time and in tight budget. Being the undisputed leaders in the SEO industry and ninjas of the digital marketplace, we know how imperative it’s to strengthen your online presence. For us, achieving top rankings is half way through. Rather, we focus on pushing Google guided SEO strategies to tap the traffic and maximizing revenues. When we say ‘SEO Guaranteed’, we mean it. Our competence in the SEO domain and skill set of our apt SEO professionals together brings excellent results in terms of traffic and rankings. So far, we have been consistent in delivering the results they expected, without failing. In case, if we fail to deliver results, we will give your money back. When you are with Brainpulse, #1 SEO Company in Gurgaon and NCR, you’re penalty safe. Our ethical SEO process is free from any black hat activity and abides Google Webmaster guidelines. We plan campaigns having Google’s Penguin and Panda algorithms in mind to ensure your website never gets penalized for policy violations, never ever. When it comes to SEO plans, a single package doesn’t fit for all. Different businesses have varied requirements and goals, thus, they need custom plans designed around them. Brainpulse creates custom SEO plans for every brand after diving deeper into brands’ key pain points and analyzing its long term goals. The plans we offer are highly competitive and affordable. You trusted upon us and we truly value it. From campaign set up to launch, and from execution to result tracking, we keep you informed 24x7. We create comprehensive camping reports to tell you how your campaign is progressing. We assign a dedicated SEO manager who will update your current status of the project whenever you ask. Why Brainpulse is for SEO Gurgaon ? Brainpulse is an award winning and globally acclaimed Google SEO company in Gurgaon. It has been featured on the top online publications and referred as well as mentioned in major search conferences held worldwide. There are multiple reasons why we are the undisputed leaders for result-oriented SEO services in Gurgaon and NCR. Still have queries? 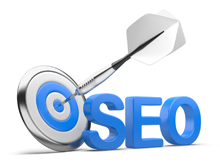 Call us now on 0120-6790400 to get in touch with our SEO Consultants. They will tell you about our exclusive SEO plans and the mechanism in place to put your website higher in search rankings.